Recently, I was thinking about a photo I once saw of Zig Ziglar. In it, he was seated in front of his “Wall of Gratitude,” a collection of twenty-seven photographs of people who significantly impacted his life in some way. I can’t find the photo this morning—I don’t even recall where I saw it now. But it was a powerful lesson for me. There sat one of the most renowned and arguably most influential people in the 20th Century, and he had a habit of sitting down and reflecting on the people that got him to where he was at the time. Let’s face it, running a business can be really hard sometimes. You have seasons where you feel like you can do no wrong, and other times where you’re digging your way out of a major mistake that you made… or maybe a series of mistakes. We’re preparing to announce some really big changes around here, and in the process of thinking about the impact of those changes on our business, I’ve taken some time to reflect on some of the people I’m grateful for in our business. One of those people is Tom Ziglar. It was my privilege to be connected to Tom 6 or 7 years ago through a mutual business relationship. He did me the great honor of allowing me to have the opportunity to work with his team in late 2008 to think through some marketing strategy with them. What’s more, he has honored me on more than one occasion since then to speak to their audience via webinars and a webcast. I’m grateful to Tom most of all for his friendship. But the lessons he has taught me continue to impact me. He’s brought so much value to our Nourish The Dream events, with his quick wit, unique insights, and his genuine heart for people. These are elements of who Tom is that have directly impacted (and benefited) me. But Tom has my gratitude and my respect for something far bigger: his commitment to stewarding the legacy of his late father. As CEO of Ziglar, Inc., Tom is accustomed to carrying the responsibility for the Ziglar name. But as I’ve witnessed him handle the passing (or “promotion,” as Zig would’ve thought of it) of his Dad and the steps Tom has taken since then to ensure that the life work of his Dad is carried on, my appreciation has grown. Tom… you’ll never know how much I appreciate you. It is an honor to know you, and even more of an honor to call you friend. 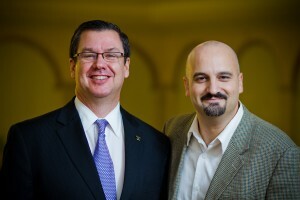 One of our clients who I’d like to mention has also become a good friend. That man is Dean Burnside, owner of Good News Pest Solutions in Sarasota. I met Dean just over 2 years ago, and right away he took the opportunity—and the risk—of speaking into my life about some things related to our business and our mission. I have to respect Dean’s willingness to do that. Dean is also a great example of Godly leadership within Good News Pest Solutions. Years ago, he made the commitment that God owned the business. His story of how God spoke to his heart about the impact he would have for the Kingdom of God outside the 4 walls of the church is inspiring and moving. He’s also given generously of his time as c0-host of the Nourish The Dream podcast, where he offers unique insights and colorful commentary to the topics we discuss. He’s made no small investment in me personally, and it’s been an honor to me and to my team to be able to serve him by providing services to his company. 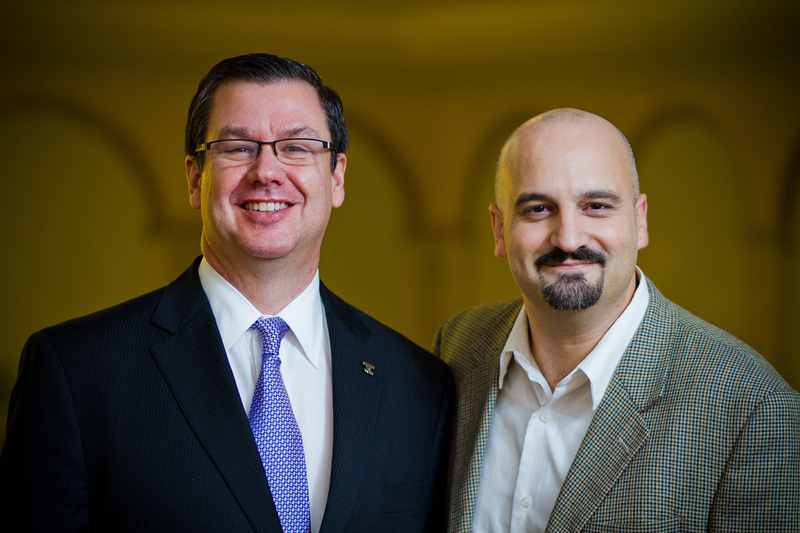 Dean… I’m grateful for your friendship, for your input in my life, and for the opportunity to work alongside you. 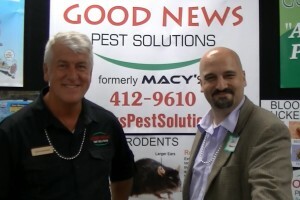 Congratulations on the 25th Anniversary of Good News Pest Solutions! As I mentioned before, this is going to have to turn into a series. But I want to take a moment and congratulate Steve Rinehart on launching his new luxury home brand: Rinehart Elite Homes. Big kudos as well to my friend, Tom Oechslin (and thank you to Dean Burnside for making that introduction!) on winning the Tube of the Year award in the Consumer Packaged Goods industry for his company’s tongue cleaning gel. Tom’s entrepreneurial spirit and friendship has created one of those “iron sharpening iron” situations that has stretched, challenged, and encouraged me. Thank you, Tom. Another long-time client and friend that I want to say “thank you” to is Becki Creighton. She’s one of the hardest working, most creative people I know. Her clients adore her and her work. If you need Mother’s Day Flowers, or wedding flowers, or a nice gift or acknowledgment for virtually anyone, you know who to call! I’ll pick this up another day. But I’d be remiss if I didn’t wrap up with the most important piece of gratitude I could ever express… and that is the One we celebrate this week on Good Friday and, most significantly, Resurrection Day. He gave His life for me. How could I begin to say “thank you” for that? Here’s Zig Ziglar sharing better than I ever could.